Climate change demonstrations took place in many cities around the world today. Schoolchildren and adults took to the streets to demand implementation of the Paris Agreement, which primarily aims to counter global warming. Maybe you have heard of Greta Thunberg, the Swedish schoolgirl who organized the movement #fridaysforfuture by skipping classes at school every Friday and picketing the Swedish parliament instead. It makes sense. What is the point of going to school if the future is threatened? Humankind has killed off 70% of wild animals in the past four years. 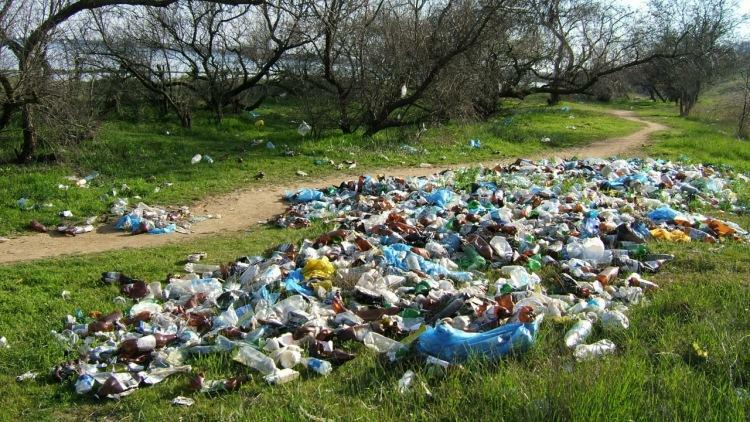 The oceans contain more discarded plastic than fish. And the list goes on. But what about Russia? In Russia, environmental activist Denis Shtroo has been murdered in Kaluga. He campaigned against the construction of new waste landfills. 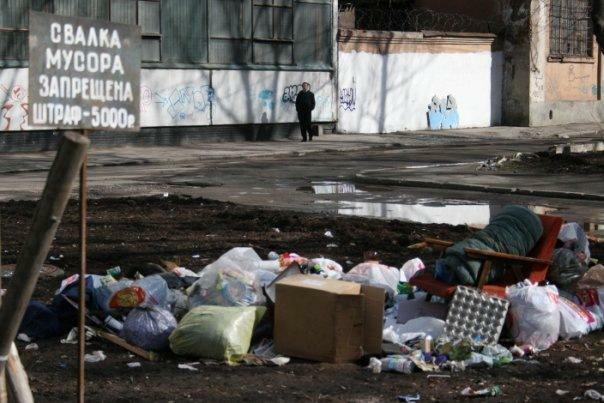 Earlier today, an excavator ran over a trailer containing an activist, who, along with other activists, had been trying to stop garbage trucks shipping Moscow’s garbage to Arkhangelsk Region. I really want there to be a future, but this is what it looks like. Like no future at all. 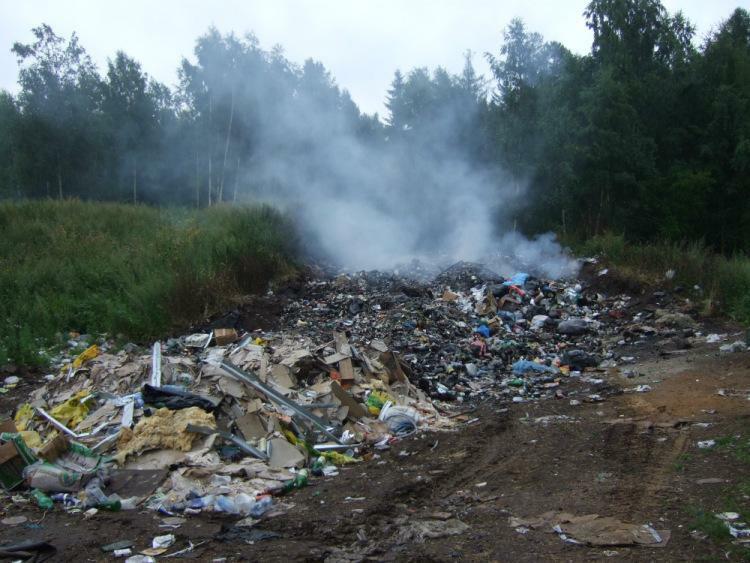 The Russian Federal Sanitation and Epidemiology Service and national consumer watchdog Rospotrebnadzor have drastically raised the maximum allowable concentrations (MACs) of harmful substances in the air, including formaldehyde, nitrogen dioxide, and methyl mercaptan, a chemical typically emitted by waste landfills. The current MAC of methyl mercaptan in the air is sixty times higher than it was ten years ago and 660 times higher than it was in 1999, Greenpeace Russia has reported in a press release. Moreover, the new MAC for methyl mercaptan exceeds the odor threshold by one and a half to three times, meaning the level at which people living near waste landfills can smell the substance. Greenpeace Russia noted that the MACs of a number of other air pollutants were increased in 2014 and 2015, for example, formaldehyde and nitrogen dioxide. According to the previous standards, about 50 million Russians lived in cities where formaldehyde concentrations had been exceeded. After the MACs were relaxed, the statistics “improved.” They now show, allegedly, that fewer cities are at risk, and only 20 million Russians may be affected by increased concentrations of carcinogens. “However, according to assessments by Russian and international scientists, the risks presented by formaldehyde concentrations under the new, current guidelines correspond neither to the standards adopted by the Russian Federation nor common sense,” writes Greenpeace Russia, noting that phenol, formaldehyde, and methyl mercaptan are poisons. Constantly inhaling them increases toxicity in the body and reduces immunity. “This is one of the factors contributing to a manifold increase of the incidence of flu and acute respiratory infections over the last twenty years,” Greenpeace Russia claimed in its press release. As grounds for its decision to raise the MACs, Rospotrebnadzor refers to complex toxicological, sanitary, and epidemiological studies, as well as an analysis of international practices, but it refused to provide the specific research findings, Greenpeace Russia reported. The Human Ecology and Environmental Hygiene Research Institute, which reports to Rospotrebnadzor, claimed no such research had been conducted whatsoever, and all it had provided to Rospotrebnadzor were background, reference materials. But even they were not taken into account when the decision was taken to increase the MACs for phenol and formaldehyde. On February 18, Greenpeace Russia sent an open letter to the relevant committees in State Duma, the Russian Security Council, the Russian Health Ministry, the Russian Natural Resources Ministry, Rospotrebnadzor, and Rosprirodnadzor, the Russian natural resources watchdog. In the letter, Greenpeace Russia pointed out that the unwarranted changes to the sanitary norms jeopardized the implementation of the priority national environment and health projects.